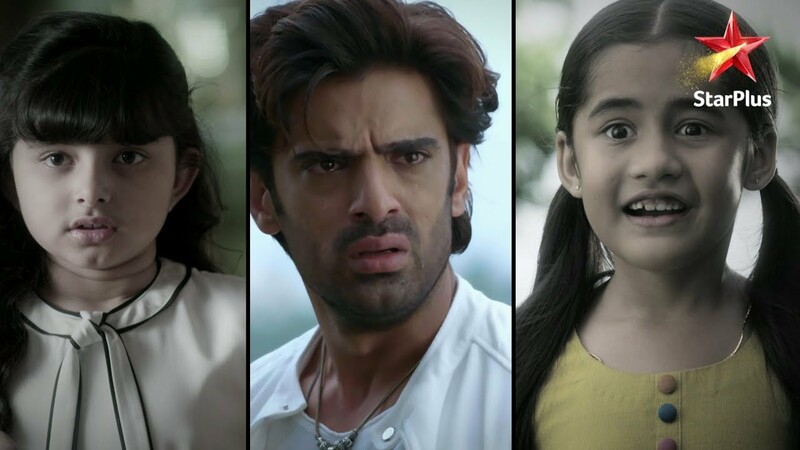 Kulfi Kumar Bajewala: Kulfi wants to ask Sikandar why did he do wrong with Nimrat. Sittu feels Kulfi has grown up into a sensible girl. He supports her. He tells her that she means a world to him, he can do anything for her. He loves her immensely. He tells her that he is ready to take her home anytime she wants. Kulfi recalls his words. She doesn’t tell Sikandar about her identity of being Nimrat’s daughter. She doesn’t want Sikandar’s family to break. Lovely asks Sikandar to decide if he wants Kulfi or Amyra with him. Sikandar doesn’t want Lovely and Amyra to come between Kulfi and her. She calls Kulfi an orphan, which angers Kulfi a lot. Kulfi speaks up and tells them that she isn’t an orphan, she is with her father. Lovely fears that Kulfi will name Sikandar. Kulfi wants to tell them that she is Sikandar’s daughter. Though Amyra knows this truth, she stays tight-lipped. Kulfi wishes Lovely and Amyra forget the anger. Sikandar recalls Lovely’s bad upbringing towards Amyra. He chooses Kulfi and lets Amyra go with a broken heart. Lovely tries to stab Sikandar’s heart by taking Amyra away. Sikandar feels he has lost his princess, without whom he can’t live. He recalls her promises made to Amyra. Meanwhile, Cutie gets stressed knowing that Lovely has left the house. Lovely explains the scenario to her parents. Sikandar’s family asks him not to lose Amyra. They ask Sikandar to keep his duties towards his family. Kulfi sheds tears over the sorrow Sikandar is dealing. She wants to talk to Sikandar as well. She shares a hearty talk with the stars. Sikandar and Kulfi share their sorrow. Sikandar tells her that he will never leave her. He tells Kulfi that when she gets her father, she needs to ask him why did he leave her, its her right to question him. She tells him that she doesn’t want to question or scold her father. They have an emotional moment. He gets proud of her innocence. He tells her that this time he can’t forgive Lovely. He asks her to not care about Lovely and just think of herself. She requests him to get Lovely home. She promises to tell him the truth once he gets Lovely home. Sikandar gets compelled to go and meet Lovely. He gets shocked hearing a big truth, that Lovely had killed Nimrat. Sikandar overhears Lovely and Nimrat’s conversation. Gunjan tells Bebe that Lovely shouldn’t come back. Bebe wants Amyra to come back home. Gunjan tells Bebe that Amyra isn’t Sikandar’s daughter, Kulfi is his daughter. She wants to tell the truth. Mahendar doesn’t want Bebe to know the truth. 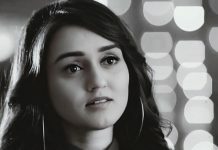 Gunjan tells Bebe that Tevar is Amyra’s father. Bebe can’t believe Lovely’s big cheat. 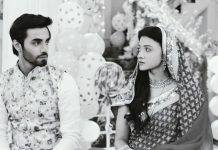 Cutie asks Lovely not to run from the truth, and accept that she has killed Nimrat. Lovely speaks ill about Nimrat and Kulfi. Cutie asks Lovely not to be mad and stop harming others. Lovely tells Cutie that she didn’t intend to kill Nimrat and it wasn’t of any use either, since Nimrat isn’t out of Sikandar’s heart. Sikandar breaks down hearing her crime confession. Bebe feels Sikandar has accepted Lovely’s deceive and stayed loyal to her. Gunjan asks Bebe to tell Kulfi’s truth to him, since its his right to know the truth. Mahendar wants Amyra to get her rights too. He tells them that Amyra wants Sikandar’s love too. Bebe cries for Kulfi’s sorrow. She feels Lovely has done much injustice with Kulfi and Sikandar. Lovely gets aback knowing Sikandar has learnt the truth. He scolds Lovely for killing Nimrat. Lovely tells him that she didn’t intend to kill Nimrat and it happened by a mistake. Sikandar doesn’t listen to her. He is fed up by her lies and betrayals. Lovely has ruined many lives just for the sake of securing her own future. Sikandar calls it enough. He can’t it more from evil Lovely. He feels like he has lost something suddenly. He recollects Nimrat and sheds tears for her. He hugely regrets for betraying Nimrat in love. Kulfi finds Sikandar shattered. He runs to the family to tell them about Sikandar’s state. Sikandar gets imagining Nimrat and apologizes to her. He feels he has done much wrong with her. He begs her for forgiveness. Lovely fears for her arrest for Nimrat’s accident. Tony assures to protect her. Sikandar loses his senses and wants to get Nimrat back. Mahendar tells Sikandar that Lovely is his life and future now. Sikandar asks Mahendra not to remind that Lovely is his wife. He tells Mahendar that Lovely is the same woman, who has killed Nimrat. This truth disappoints Mahendar further. He pacifies Sikandar. Tony fills courage in Lovely again. He asks Lovely not to feel guilty or take the blame again. Cutie tells Tony about the witnesses against Lovely’s crime. Tony is sure that Sikandar won’t take any action against Lovely. Lovely begs Tony to help her and save her from jail. Sikandar tells Mahendar that he will get Lovely punished. He feels he has married an evil woman, which was the most wrong decision of his life.